A report released by the NPD Group says that gamers are spending more money on new games than on used. 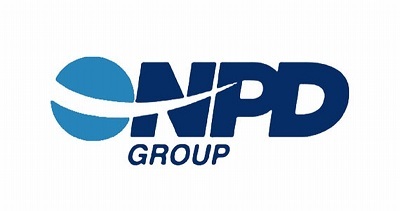 The NPD Group has released a report detailing the results of a survey conducted to determine emerging consumer trends among core gamers. The survey asked respondents to answer questions regarding how much they had spent on videogames in Q4 2012, and how they had spent it. The answers point to a growing digital marketplace, healthy used games sales, and robust amounts of money being spent on new, physical games. The survey, which involved more than 6,000 participants ages nine and older, indicated that 88 percent of core gamers polled had bought games new. Only 70 percent said they bought games digitally, with 78 percent reporting they'd spent money on used games. While the gulf between each purchase option isn't earth-shaking, there are significant differences in how much core gamers actually spent in each area. Respondents spent, on average, about $129 on new games in Q4. Comparatively, gamers spent only half as much on digital and used games. While there are some ways to explain this difference, lower prices and a holiday season packed with high-profile releases being two, it's still noteworthy that so much more was spent on new games. The gaming industry has long been losing money to the second hand game market, with many looking for ways to curtail used game sales. This survey suggests that core gamers, at least, are still willing to spend large sums of cash on new, shrink-wrapped hard copies. Perhaps less hopeful, however, is a rise in the number of core gamers spending less money overall. About 10 percent of respondents said they had spent less on videogames in Q4 than in previous years. These results coincide with an ongoing slide in videogame sales. If this continues it could prove to be a problem for the industry which has, in the past, been able to rely on core gamers as a steady source of income, even when more casual consumers are cutting back.